Hello~ thank you for stopping by! My name is Cali Lee and I specialize in vintage style Halloween art. I myself am a long time collector of Halloween memorabilia, and am constantly inspired by my collection as well as all things vintage. 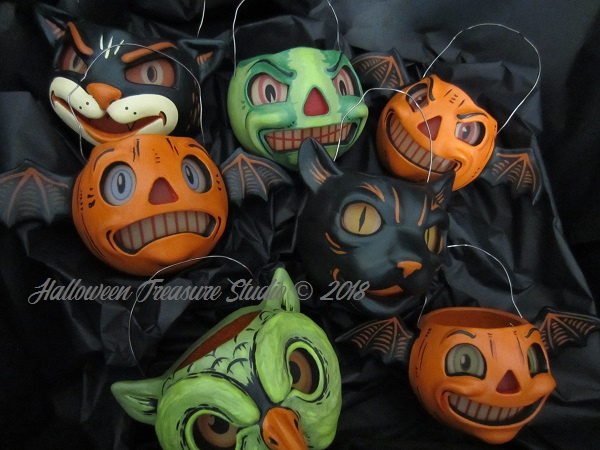 I strive to create exquisite original hand painted pieces that any Halloween collector would be thrilled to discover! All my work is completely hand done making each and every piece unique. I mostly paint found objects of a vintage nature. I'm always on the hunt for unusual and even sometimes functional objects to become works of Halloween art. In my gallery there are some good examples of my work for your viewing pleasure, so please enjoy!